In an interview, Sergio Jalil discusses the Lebanese diaspora in Latin America and how Lebanon can benefit from it. Sergio Jalil is the founder of CELIBAL, the Centro De Estudios Libaneses Para America Latina (Center for Lebanese Studies in Latin America). 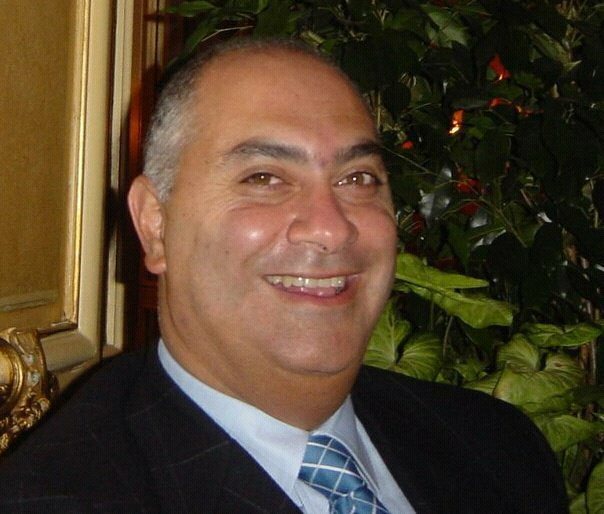 An Argentinean of Lebanese descent, he has long experience in the business and banking sectors in Latin America, as well as involvement in the activities of the Lebanese diaspora. He received his degree in political science and international affairs from the Catholic University of Cordoba, Argentina, and a Master’s degree in Arab studies and international politics of the Middle East from the Center for Contemporary Arab Studies at Georgetown University. In many regards he is a quintessential link between Lebanon and its Latin American diaspora. He agreed to be interviewed by Diwan on this topic in February. Michael Young: Can you tell us something about yourself and how you decided to form CELIBAL? Sergio Jalil: I was born and grew up in Argentina and was raised in a 100-percent Lebanese home since my four grandparents and father were born in Lebanon. I was educated in an Argentinian environment, then I moved to the United States where I pursued my graduate studies and lived and worked in Washington D.C. and New York for the second half of my life. In a nutshell, I would say I have an Argentinian heart, a Lebanese soul, and an American mind. I see myself as an authentic member of the Lebanese diaspora, where Lebanon never stops being the center of the world, while my personal story makes me unquestionably international, naturally pluralistic, eagerly multicultural, and enthusiastically cosmopolitan. My father’s influence and his uncompromising love for and dedication to Lebanon as a leading figure in Lebanese diaspora organizations motivated me and stimulated my inclination to participate in Lebanese emigrant entities. There I discovered that the country that I carry in my genes was not only a place to love and treasure, but also a fascinating and unique field to pursue in my investigative and academic endeavors due my fondness for the social sciences. So I spent the last 35 years of my life—and I hope the rest of it too—reading, researching, learning, and teaching about Lebanon. After having been actively involved as a youngster in Lebanese organizations and having led youth movements, organized many conventions internationally, and devoted many years to promoting Lebanon’s identity, I lately, and worryingly, realized that nowadays, for different reasons, Lebanon’s identity is threatened in the diaspora, especially among the third and fourth generation of descendants. They have not been properly made aware of what Lebanon truly represents. They have mastered Dabkeh [a folkloric dance], they love to smoke water pipes, and cook sfiha, kibbeh nayyeh, and tabbouleh [all Lebanese specialties], but are not adequately educated about the uniqueness of Lebanon, its history, its heritage, and the risks taken to keep it alive amid the many threats it faces. That is why we created CELIBAL, to study and explain Lebanon, to provide the diaspora with proper knowledge of the country, using didactic methods and a rigorous scientific approach. We want to tell the story of Lebanon, promote it, and perpetuate it, and not leave that task to a foreign embassy or an ideologically-oriented pseudo-cultural association financed by an Arab government or other foreign interests which have nothing to do with Lebanon beyond an appetite to conquer and engulf it. We didn’t want to leave room for those deforming the idea of Lebanon, whose interests and views are exactly the opposite of pluralism, cosmopolitanism, and diversity. MY: What has the response been to your project? SJ: Our idea was received and welcomed with great expectations and we have had widespread and strong support from many Lebanese organizations, clubs, and associations throughout Latin America. We have even been approached by Lebanese organizations in the United States, Australia, and Europe inviting us to replicate our efforts in those countries as well. The fact that in less than four years we have organized more than 200 lectures, presentations, seminars, and symposiums throughout Latin America is proof of our success and the great response from the diaspora. MY: How much interest do Lebanese studies provoke in Latin America? While the Lebanese community there is large and influential, Lebanon must seem a long way away for many Latin Americans of Lebanese descent. SJ: The Lebanese diaspora needs to learn more about Lebanon, to understand it better and acquire the basic tools needed to convey why Lebanon is unique, different, and necessary. In Latin America, most of the original emigrants are gone, and in many cases their children are too. So we have a large segment of the diaspora that has lost direct contact with Lebanon and hears stories carried over from generation to generation but does not know or understand today’s Lebanon. There is a huge appetite to learn the story of the land of their forefathers. They become fascinated by its diversity, attracted by the multicultural base of Lebanese identity, and proud of the coexistence between communities that Lebanon proved was possible. There is widespread interest among descendants of Lebanese to visit Lebanon, to rediscover their roots, and to meet distant relatives and experience the life of their ancestors’ villages. When they go to Lebanon, they return fascinated and surprised not just by the amazing sophistication of Beirut but by the simplicity, beauty, and incredible preservation of ancient traditions, faith, and way of life in the villages and towns. Once they reconnect to Lebanon, they become its best ambassadors and promoters. The Lebanese diaspora is present literally everywhere, so it generates awareness in the general public, especially among non-Lebanese. The more we promote Lebanon, the more interest we create. CELIBAL is now invited frequently by local universities everywhere. Students and professors want to understand Lebanon and why it is so different, and how it can serve as an example to the Middle East and the world in an era in which refugees are being turned away everywhere, authoritarian regimes are ruling ruthlessly, nations are fighting over religion, coexistence seems impossible, and diversity and pluralism are at risk. In other words Lebanon has become an experience worth exploring. MY: Where do you feel the impact of the Lebanese has been most enduring in Latin America? SJ: When the majority of Lebanese immigrants first came at the end of the 19th century and the beginning of the 20th century they were mostly involved in commerce. Most of them wanted to give their children a good education, so the second generation obtained university degrees in all kinds of fields, but especially in the liberal professions, such as medicine and law. Some, while educated, pursued the occupation of their parents, converting small shops into vibrant commercial enterprises. Others became industrialists, successful professionals, artists, and shrewd businessmen. Today you may find the descendants of Lebanese in absolutely all the professions imaginable. There have been many who excelled in the arts, such as music and literature, in show business, medicine, engineering, architecture, law, economics, politics, and even in the military field. Ecuador has had four presidents of Lebanese origin, while Colombia and the Dominican Republic each had one. Jamaica had a prime minister of Lebanese origin, and Brazil’s president today is of Lebanese descent. The mother of the Castro brothers in Cuba was also Lebanese. There are many famous descendants of Lebanese in Latin America, such as billionaire Carlos Slim from Mexico, Carlos Ghosn from Brazil, the singer Shakira from Colombia, the actress Salma Hayek, also from Mexico, and many others from a long list. But most of them come from families that started simply as merchants, not so different after all from the history of Lebanon from the time of the Phoenicians. MY: Could you very briefly outline the different waves of Lebanese immigration into Latin America? And where did the Lebanese go, and at which specific periods? SJ: The first and largest wave of immigrants came between 1860 and 1915, mostly as a result of the 1860 civil conflict in the mountain and, later, the famine during World War I. Argentina and Brazil were the most attractive destinations then, while Mexico, Venezuela, Ecuador, and Colombia were also widely chosen. But, in general, many Lebanese came to Latin America without a set destination or clear idea of where they were going. Many arrived in places by accident, staying and establishing themselves. A second, much smaller, wave arrived after the establishment of Greater Lebanon in 1920, and lasted until the 1950s. This was mostly made up of people coming to Latin America to visit relatives, supposedly for a short time, but then never leaving. A third wave occurred during the Lebanese civil war, between 1975 and 1990. However, in this period Latin America was not the first choice, as many Lebanese preferred France, Canada, the Gulf countries, the United States, and Australia, due to general political instability in Latin America and better economic prospects elsewhere. One interesting aspect of this period is the fact that in the much larger waves previously, immigration to Latin America was overwhelmingly Christian. In this last, smaller wave, it is notable that a group of Muslims (especially Shia from southern Lebanon) emigrated to Paraguay, Colombia, and Venezuela, while some Christians went to Mexico and Brazil. We can add that, in general, after 1990 the Lebanese who emigrated did not choose Latin America as their destination, except for a few exceptions. MY: Is Lebanon mainly a fond memory for Latin Americans of Lebanese descent, almost a quaint issue of folklore, or is there real and continuous interaction? SJ: Lebanon is in the DNA of the diaspora, and that seems to be increasing rather than being diluted. You can see it in the way the young descendants of Lebanese feel, not just dance, the Dabkeh, even from the fifth generation of descendants. Or the way they get emotional when Lebanon is mentioned or its flag waved. It is very important to understand that the diaspora is not uniform in its composition. It encompasses people who have never been to Lebanon, some who may have had a great great grandparent who emigrated from Lebanon, but it also includes people who arrived during the Lebanese war and brought Lebanon’s influences with them. We do not know for sure the size of the diaspora. I have seen many figures and sometimes they are baseless, speculative, or miscalculated. None are based on reliable data. What we do know is that there are different levels of connection and attachment to Lebanon, which must be taken into account to effectively engage with the diaspora. The truth is that there is interest as long as appropriate interaction is encouraged and promoted. Trips to Lebanon, educational seminars, cultural events and activities stimulate the diaspora, explaining what Lebanon is and what it contributed to the world. That is what we try to do at CELIBAL. We aim to connect Lebanon with its diaspora and vice versa. Even non-Lebanese, when informed and educated about Lebanon, become impressed and fond of the country. That is part of our mission as well. MY: In what ways can the Latin American diaspora help Lebanon, and in what ways can Lebanon help the diaspora? For example, on matters of nationality? SJ: There is a romantic and idyllic relationship between Lebanon and its diaspora that goes both ways. There are a lot of myths, exaggerations, and over-expectations. The first thing that is needed is to properly study and measure the size and characteristics of the diaspora, to better understand the interests of its diverse segments. We have many things in common but we are also different in the way we think, behave, and feel. As Gibran wrote: “Your children are not your children…” The Lebanese and their diaspora are like the relationship between a mother and a child. There must be mutual respect but no attempts to impose anything on the other. The emigrants left Lebanon in search of peace, freedom, development, and prosperity. They mostly, even overwhelmingly, succeeded at the individual level. Today Lebanon is collectively struggling for the same hopes and dreams as a society and it can benefit from the diaspora’s experience, uncompromising free spirit, ingenuity, and proven record of achievement. In turn, the diaspora can help promote and expand Lebanon’s message to the world, the ideas of coexistence, diversity, and respect for cultural and religious differences. The diaspora often has influence at every level in their countries—in commerce, the economy, politics, and culture. It can exert pressure on behalf of Lebanon whenever the idea of Lebanon is at risk or under threat from anywhere and anyone. MY: Can you be more specific? SJ: Lebanon needs to foster the education of the Lebanese diaspora and support visits, exchanges, and provide cultural events specifically designed to engage the diaspora. The promotion of the Lebanese dialect is instrumental. Lebanon should encourage knowledge about Lebanese food, for example, and promote the specificity of Lebanese cuisine so it is no longer just referred to as “Arabic food” as is now the case in Latin America. Lebanon should become a brand and the diaspora is in a position to be its most loyal, dedicated, and widespread marketing force. I often hear how the Lebanese government and politicians exhort the diaspora to invest in Lebanon. And that is a noble idea, but the diaspora has learned that a sound investment requires stability, good governance, the rule of law, a just judicial system, the absence of corruption, and trust in the political elites. And very often the diaspora does not see these conditions in Lebanon, or clearly perceive them. The Lebanese nationality for Latin Americans of Lebanese origin is a matter of pride, reverence, and for many represents a vindication of their ancestors. However, it should not be used as a political tool to be exploited by unscrupulous politicians who may claim to represent the interests of the diaspora. The Lebanese nationality should come with education and a better understanding of Lebanon. If members of the diaspora were ever to have the right to vote in Lebanon, which Lebanese nationality would confer on them, they should do so with their own interests in mind, not that of specific Lebanese political parties. Representation and inclusion of the diaspora would enrich Lebanon’s political life and economic dynamism and would contribute to expanding in time and space the Lebanese national idea. Finally, when we talk about the diaspora and Lebanese nationality, it is imperative to consider the right of children of Lebanese mothers to obtain citizenship. According to current Lebanese law women cannot pass citizenship on to their children. However, continuing with such an anachronistic approach, where some descendants of Lebanese are recognized as Lebanese and some are not, effectively means that the diaspora is only a portion of its true size.